LED deck lights are lighting systems that are used to illuminate a deck. 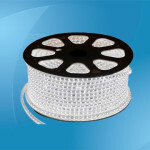 The main difference between these types of lights and ordinary lights is they are energy efficient and brighter. Deck lights made from light emitting diodes (LEDs) vary in terms of style, construction and application. Knowing how they are constructed can help an individual understand them better. The casing of LED deck lights will vary depending on the application they are designed for. For starters, some deck lights will have rubber caps along their housing. Rubber caps are part of the casing construction in a bid to reduce moisture damage to the housing. Deck lights that are to be used in high humidity areas have a thick layer of waterproof insulation added. When it comes to the color of LED deck lights, there are two aspects that are involved. First of all, the color of the housing will vary from one manufacturer to another. Most manufacturers have their products in 3 – 5 different colors. This does not mean an interested party cannot get a particular color. For this to happen, they will have to contact the manufacturer with a request for particularly colored deck lights. 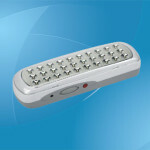 The LED lamps can also have various colors. The most common color for deck lights is either white or soft-white. This does not mean that all deck lights are limited to these options. The lighting can have virtually any color you can think of as long as the manufacturer can come up with the same. Style is very important in the interior and exterior of a home or building. With this in mind, LED deck lights are created with various styles to suit the needs of consumers with different tastes. For example, there are recessed deck lights that safely light up a deck and create a particular ambience. Furthermore, there are lights that have been designed for stairways, supporting beams and even the floor of a deck. Each type of LED deck light comes with its particular artistic choices to lend additional personality to a deck. 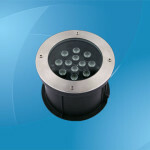 One of the most popular choices available for LED deck lights is illumination from above. These deck lights can brightly light up a deck regardless of the hour. Most of them use a power rating that ranges from 30W to 100W. The power rating will be determined by the area they are meant to cover, the ambience desired and how many lights will be used in the area. 30W lights have a more serene and calm effect on the deck. On the other hand, 100W LED deck lights give a more lively effect. They can be hanged from a number of structures surrounding the deck. There is also the option of colored bulbs if white is not your style. Lanterns are designed to be used when hanging deck lighting from the roof seems to be a bit tacky, or when the patio is set away from the house. LED deck lights created with a lantern design bring the ghostly charm of early 20th century homes. A good illusion can be created by illuminating them during a cloudy or foggy evening. The best power rating for such lanterns should be 10W to 20W. The low power rating means a lower flux. Lanterns can also be used to create the same atmosphere an overhead system will have. For this to work, a sufficient wattage, say 80W to 200W has to be used. Manufacturers offer their clients options for different designs of lanterns. Clients with specific needs may forward their requests to the manufacturers to see what can be done. Pathway illumination is another choice available with LED deck lights. They are considered to be similar in design to the lights that line the aisle in a movie theater. This aesthetic lighting effect can be duplicated on a deck to great effect. A homeowner can turn off the excess illumination without turning off the rest of the home. They can also direct people where to walk in the event overhead lights are unavailable. 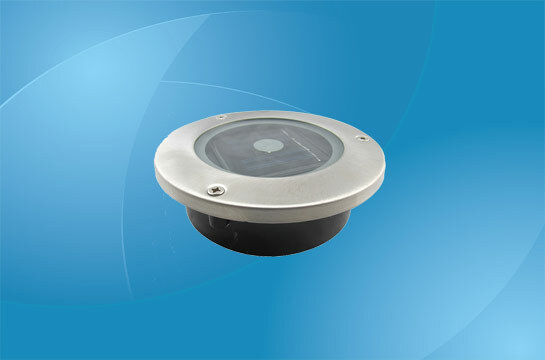 Most models of these deck lights are self contained making their installation quite easy. Additionally, they have classic yellow / white lights with the option of spicing up the pathway with different colors. Normal power rating for these lights is anything from 10W to 50W.